6in Test Cell Kit - Gilson Co.
Test Cell Kits contain items required to test specific soil sample sizes in triaxial and flexible wall permeability Test Cells. One kit is required for each sample size tested. HMA-586A 6in (152.4mm) Test Cell Kit includes one Cap and Pedestal set, two Porous Stones, two 0.012in thick Latex Membranes, and four O-Rings. Each product in the kit is also available separately. 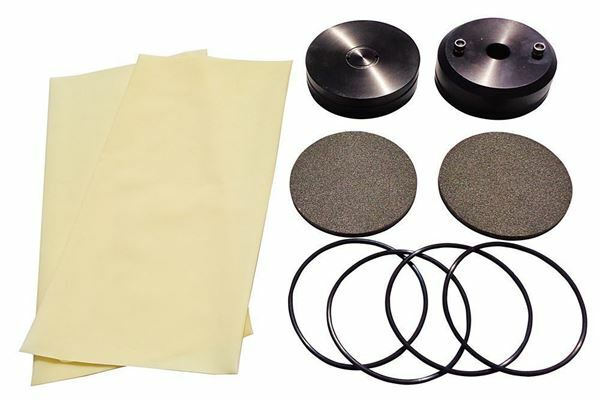 The GSA-337 6in Porous Stone with 0.50in thickness is the porous stone recommended for use with 6in soil samples, and is the product included in the HMA-586A Test Cell Kit.